My husband indulges my love for all things orange (i.e. Hermès), but not only as one would expect. Remember this? Now he has been at it again. 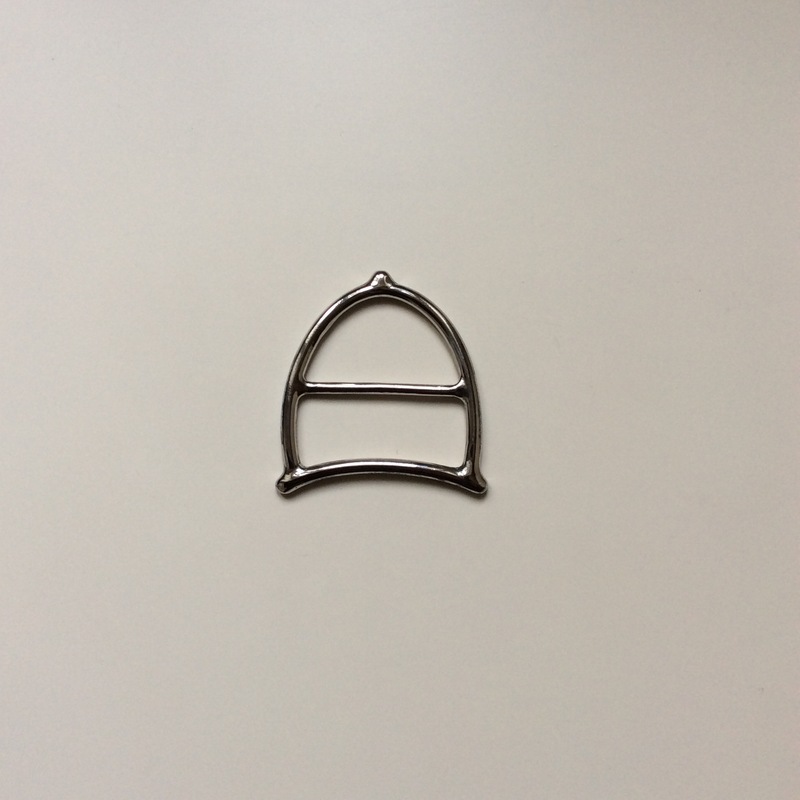 It is a scarf ring in the shape of a stirrup. M made it out of chromium cobalt molybdenum, a metal usually used for dental work. He made a wax model himself and then proceeded to cast it in metal. 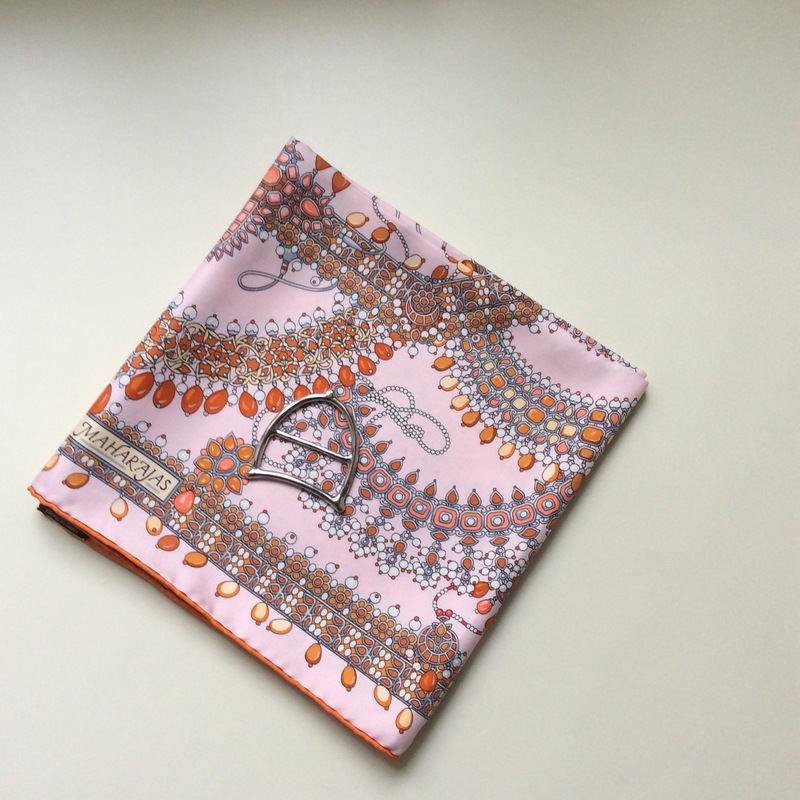 Here is my lovely stirrup on Hermès Parures de Maharaja 90cm silk twill. 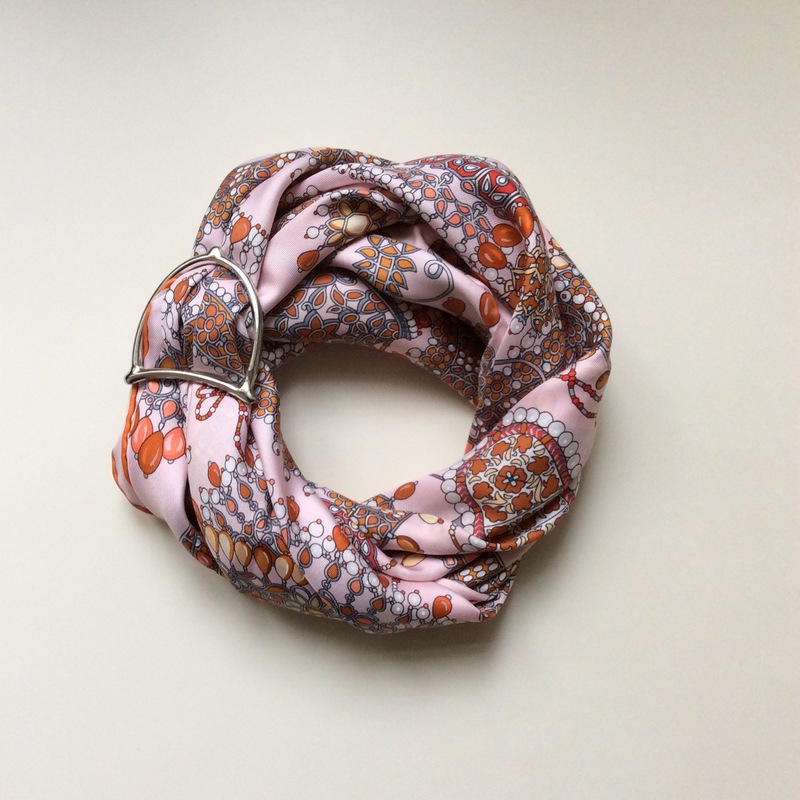 This entry was posted in Accessories, Scarves and tagged Christmas, Scarf ring, Surprise. Bookmark the permalink. OMG…..What a knockout piece…really beautiful! Wow, what a lovely husband you have!! That took my breath away! Stunning. Thank you, Jane, glad you like it! I really didn’t think the contents could live up to that box but WOW. I was very surprised indeed, a really lovely peace. That’s amazing! Well done that husband. Yes, if I don’t keep watch Portia is going to kidnap him to Australia. HA!! I have enough on my plate with the one I’ve got thanks B but your man is handy and handsome. That’s cool. You two are very lucky, he is good people and so are you Birgit. 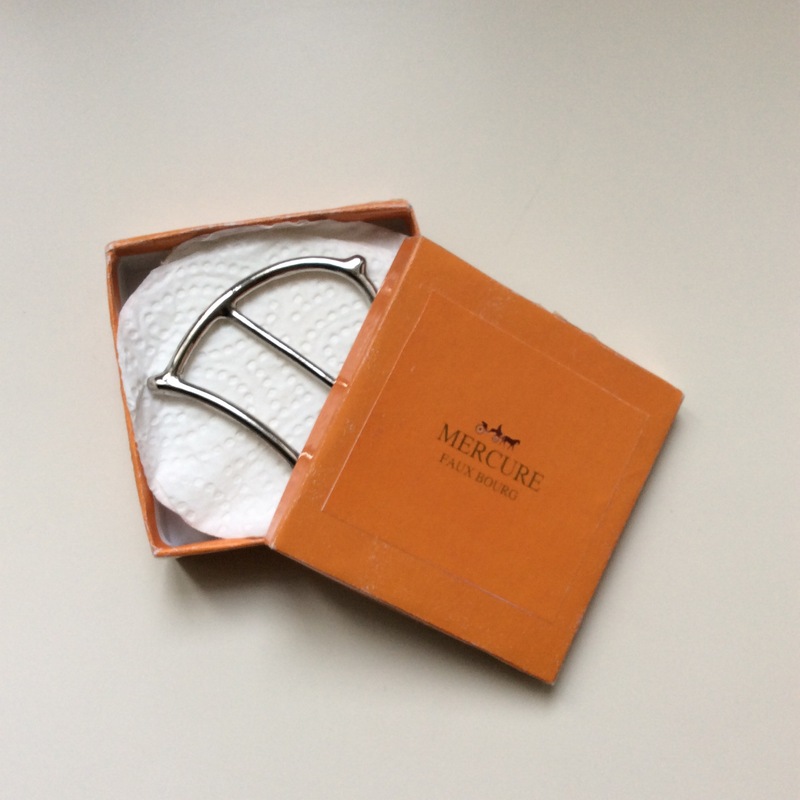 LOVING the stirrup, wear it in the best of good health. How gorgeous! (and ashamedly, I had no idea such things existed – but it makes perfect sense). What a lovely and thoughtful gift. You’ve got yourself a keeper! Glad I could show you something new! What a wonderful funny and thoughtful gift! Your husband has alot of talents! Your husband certainly has good taste and a special talent for pleasing his wife. 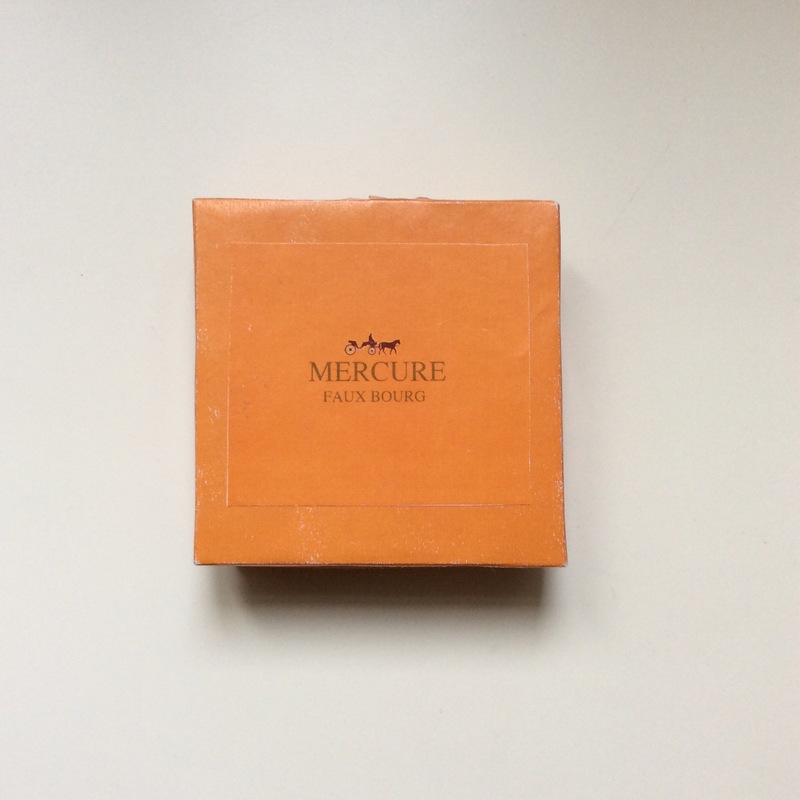 The gift is lovely and will be perfect with all your scarves..Merci à Hermès. Your husband is pure genius, Birgit. 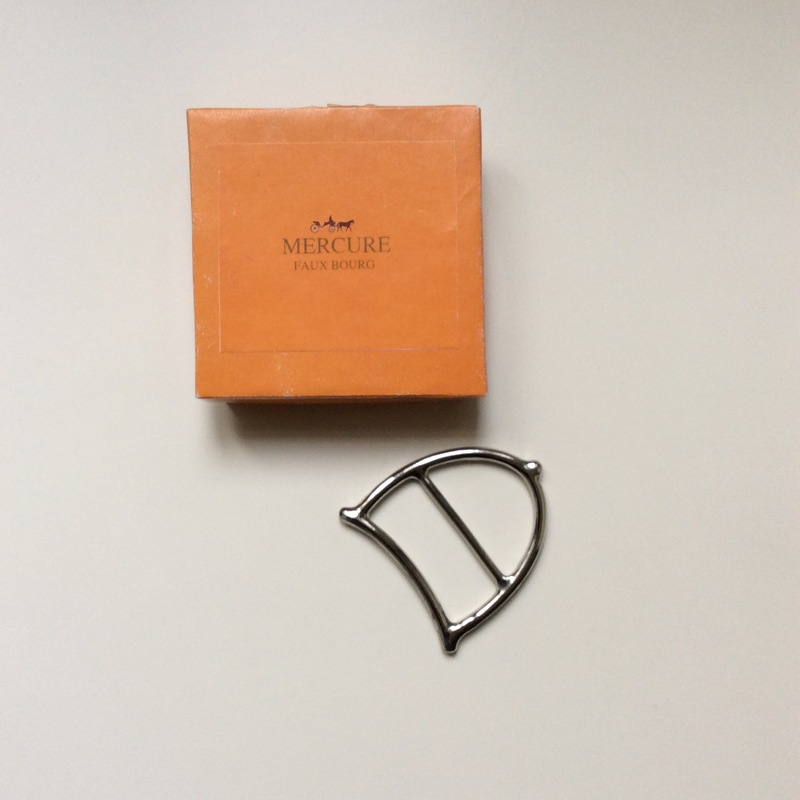 That is a beautiful scarf ring and you photographed it exquisitely with your Hermes scarf. I have a feeling that if a Mercure store was opened at a Faux Bourg location in Vienna, it might give the venerated boutique at 24 Faubourg a run for its money!! Ha! Now I understand the idea of a scarf ring 🙂 What a couple of beauties. 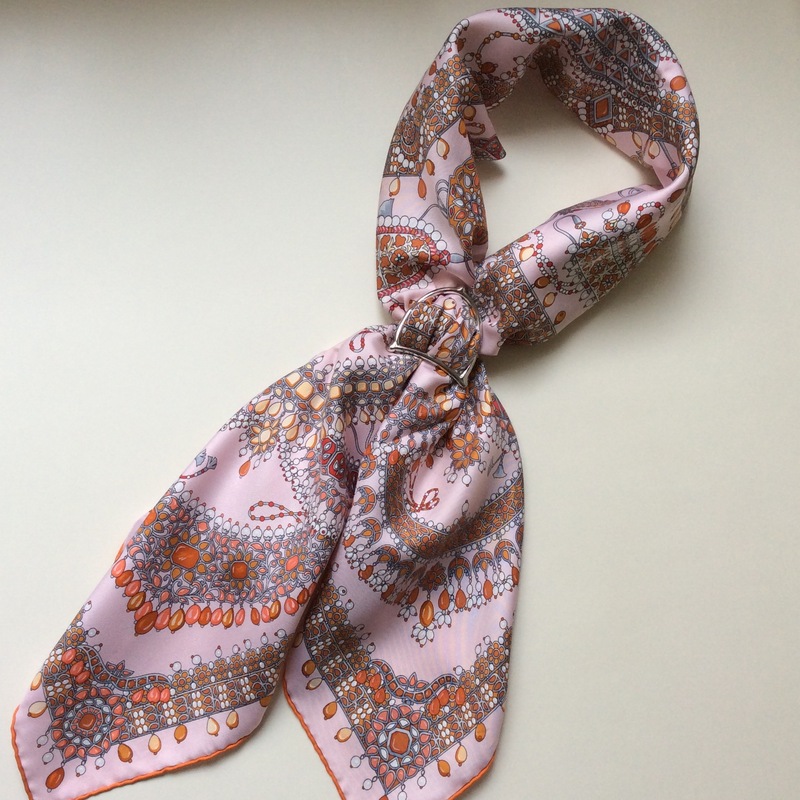 I love the idea that one can accent an already fantastic looking accessory – and arrange a scarf so differently. I’ve always been more of a “wooly” scarf wearer, but the idea of such elegance has got my fingers itching to go surfing …. And kudos to The Husband – what talent and thoughtfulness. Wowee! What a nice surprise – a gift made lovingly. As many have said, M’s a keeper and you’re a perfect match for each other. Does he want to open a business making scarf rings? I bet he’ll be very successful! I’m beyond being impressed. It’s one of the best gifts I can think of. And thank you for sharing it with us: it is inspiring. A side note: I should probably learn how to wear scarves – even if without such wonderful accessories. Beyond impressed coming from you means a lot – Dr O says thank you. MaiTai is the best source of scarf wearing inspiration! What a treasure! My scarf collection is very jealous 🙂 . What an amazing gift from the Husband – polar opposite of going shopping in a desperate fashion on Christmas eve. Aren’t creative surgeons the best! That is metal fabricating (once the key industry round these parts) at its finest! Did he test out the finished thing with actual scarves?